The capacity view shows you how much of the potential work capacity of a team is being used. Check if the total capacity is exceeding the total velocity of your team. The capacity view will highlight in red the overbooked portion. This is handy when you're planning your sprint on your agile board, and you don't realize that your team is already overbooked with work. See if there are people in your team who are already overbooked with work. It's easy to miss this when you assign work to individual people, and the overall capacity looks fine since it does match the team's velocity. The capacity view clearly shows the capacity per person, thereby showing you if and when overall capacity is not balanced. Determine if you still have capacity to fit another new project or workstream. 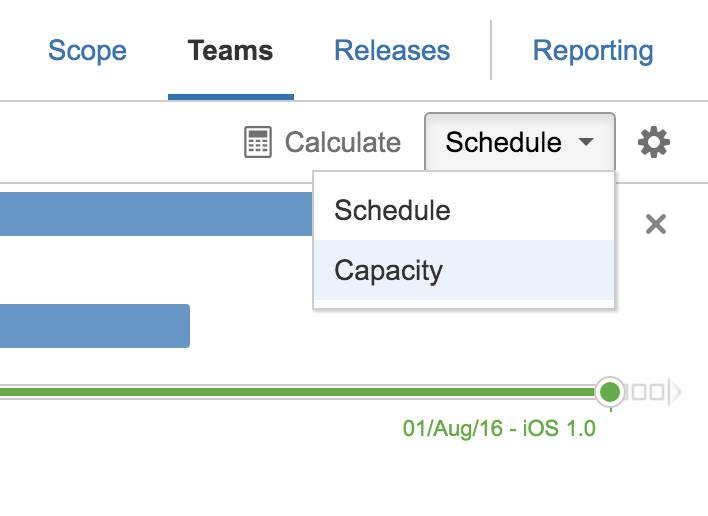 This is handy when you have a longer term schedule – the capacity view quickly shows you free slots for certain teams. 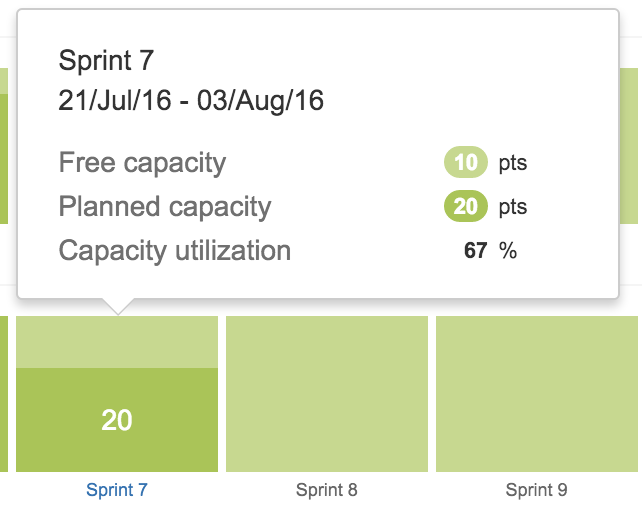 Go to your plan and select Capacity view from the dropdown next to Calculate. Select Capacity to display the capacity view. If your teams are not on the same schedule, you'll have to select the team or person view from the timeline settings. Click on a sprint to display the details.